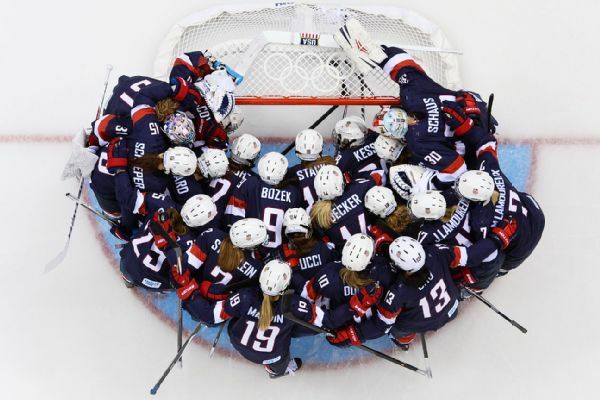 With a game against rival Canada in the International Ice Hockey Federation Women's World Championship less than a week away, USA Hockey has widened its net in an attempt to identify potential replacement players for the boycotting senior national team. The sides remain in a dispute over inequitable treatment and fair wages, with the women vowing not to play until it is settled. USA Hockey has now reached out to Division III college players, as well as postgraduate college players, as potential replacements. The attempt to find anyone willing to break the boycott comes one day after several high-profile professional and college players turned down the request to play. Several high-school-aged players also have pledged their support for the national team on Twitter, including standouts from USA Hockey's U-18 squad, such as captain Cayla Barnes and Natalie Snodgrass. 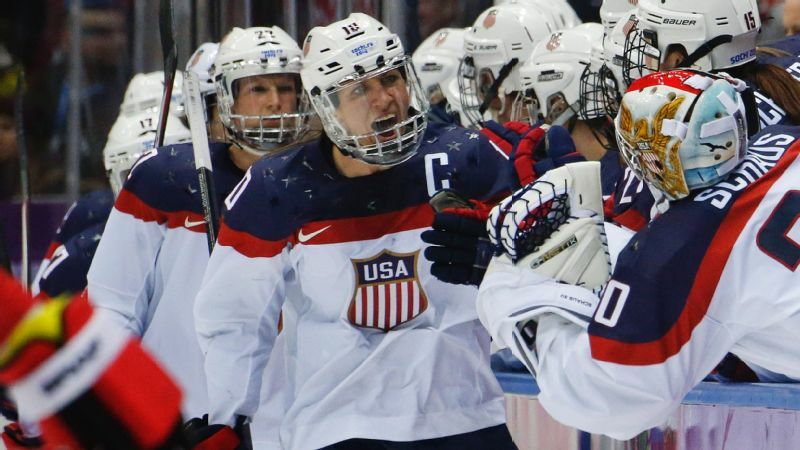 USA Hockey spokesman Dave Fischer declined to comment on potential replacement players, saying only that the organization remains focused on finding a solution with its current roster. "We remain committed to resolving issues with the players previously selected to represent the country," he said Saturday. Jim Johannson, senior director of hockey operations for USA Hockey, reached out to several players via email and phone on Saturday morning. At least one player hadn't played in D-I college competition in a year. Others had never spent a day at a U.S. national team camp or as a member of the national team pool of 90-plus players, let alone on a national team roster. Two sources confirmed Saturday that the federation has even reached out to post-collegiate players who are playing now only in rec-league competition. One such player, who last played in college three years ago, said Saturday in a phone interview, "It's crazy. Just crazy." "They said USA Hockey is having a final meeting Monday, and if the national team is still boycotting, we need you to report Wednesday," the player added. "What I kept going back to is, 'How do I say no, but how do I say yes?' I mean, I just play in a beer league. I just play for fun now. I don't train like I did in college. It's insane." One source stressed that these weren't necessarily invitations to play but an attempt by USA Hockey to get a list of available players ready before Monday's board of directors meeting. Three players from the University of Wisconsin-River Falls, a Division III school, declined an invitation from Johannson and USA Hockey to fly to Michigan before the world championships next week and participate in what they characterized as a tryout. University of Wisconsin-River Falls senior Dani Sibley, a left winger who plans on being an elementary school teacher after graduation, admitted to being initially excited about the opportunity. "At first, I admit, I thought, 'Wow!' Just the chance to pull on a USA jersey has always been a dream," Sibley said. Sibley just finished her senior season. She has been off the ice for two weeks and said the temptation was definitely there. "We talked about it among ourselves, and we said honestly, if the situation were different [and there was no boycott], we wouldn't even be given this opportunity," Sibley said. "We all grew up watching and idolizing the national team. We ultimately decided it would be really unfair to take anything away from the national team girls that have worked so hard and done so much for women's hockey and deserve to be there." USA Hockey and its women's national team remain in a dispute over inequitable treatment and fair wages. University of Wisconsin-River Falls teammate Carli Moran offered her take. "It almost seems like we're the last resort and they're just willing to throw us in there," Moran said. Former NHL player Lyle Phair is the head coach of the under-19 HoneyBaked girls program in Michigan that produced U.S. national team player Megan Keller. He said he hadn't heard directly from USA Hockey but understands the search was on, especially in close proximity to Plymouth, Michigan, where the tournament will be held, beginning Friday. "I know that USA Hockey guys are just looking for recommendations of players around the area that would be interested in playing," Phair said on Saturday. "It puts [players] in a tough spot. If one of the girls asked me if they should do it or not, I would say, 'It's completely up to you. I can't tell you if it's right or wrong.' The only question I would ask is: 'What is the upside?'" His concern is that replacement players aren't going to be looked at in a positive light publicly, something he would express to his players should they be asked about joining. "I don't think they are even going to get supported," Phair said. "The [boycotting] girls are putting their necks on the line. They feel strongly about what it is they're standing up for." One parent of a postgraduate player who did not want to be named out of concern of repercussions from the federation said, "Who wants to be the dog meat in the fight between these two sides?" If USA Hockey did try to field a replacement team, it is unclear how that would be received by the other seven nations in the tournament; it's possible that some of the replacement players have not been in the U.S. Anti-Doping Agency-registered drug-testing pool the required six months. Even if the IIHF granted the waiver necessary to allow the U.S. backups to play, Russia, in particular, might object. The Russian Olympic program has been facing harsh scrutiny and possible further sanctions against its athletes because of accusations of state-sponsored doping and cover-ups. USADA spokesman Ryan Madden said Saturday, "Our expectation is that absolutely [the replacement U.S. women's team] should be subject to effective anti-doping programs prior to any competition -- much less a world championship. Ultimately, though, it's the international federation's decision on its qualification criteria for entry. We would, of course, be well-prepared to have any and all potential team members in our testing pool." With the game against Canada closing in, the degree of difficulty would be high for American replacement players. They haven't been training for this tournament. They've never played together as a team. Practice time would be limited to one or two days. 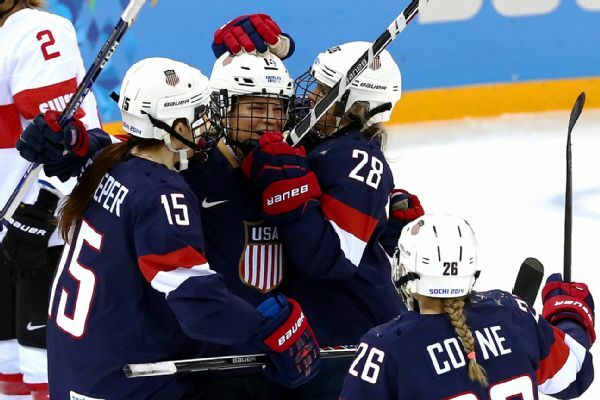 "If you just try to think about how a replacement team would fare in such an elite tournament, it would be disastrous," Brittany Ott, goaltender for the National Women's Hockey League's Boston Pride, told ESPN. "This is the best of the best. They're playing Canada in the round-robin round. They're playing Russia. They're playing Finland. And this is preparation for the Olympics in 2018. Everyone else is going to bring their 110 percent A-team. 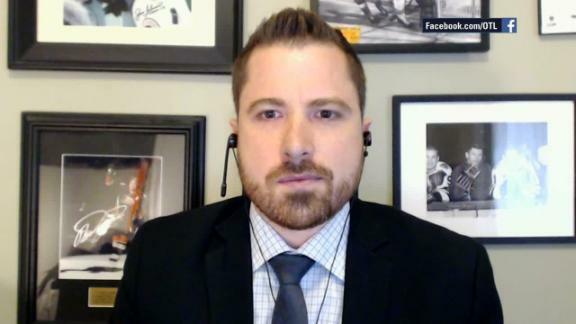 "If players haven't been on the ice in a few weeks, that's a physical liability to the players. Systems wouldn't work: power plays, forecheck, backcheck, anything. It would pretty much be all over the place."